Some Lakes and Rivers are open all year. Most Lakes and Rivers that doclose during the year open October 1st and close again at the end ofMay. 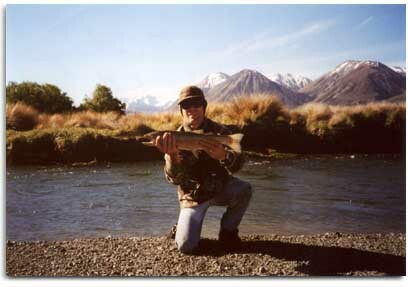 This period between October and May is the best time to fish in theSouth Island, New Zealand. Weather can vary from one region to another in the South Island. Average temperatures in Spring (Oct-Nov) can be between 10°C (50°F) to 25°C (70°F), Summer Months (Dec-Feb) range from 20°C (70°F) to 35°C (95°F) and Autumn (March-May) can be between 15°C (60°F) and 25°C (78°F). Snow can fall in the High Country any time of the year. 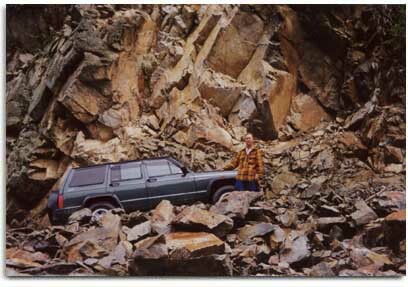 There is a wide range of accommodation available throughout the South Island. Cabins, Motels, Home Stays, B and B's, High Country Stations and 5 Star Lodges give you a range of options, all just minutes from the water. All Sage fishing gear can be supplied at no extra cost. Fishing licenses are also included in my daily fee. All drinks, snacks, lunches are provided in my daily fee. Breakfast and evening meals can be provided at an extra charge. I can pick you up wherever you may be. Airport, motel, even if you are not in Christchurch. We then will be travelling to the fishing spot of the day in a comfortable 4WD Vehicle with air conditioning and a heater. Boats are also available for tributaries of some lakes. These prices include drinks, snacks, lunch, fishing license, transport and Sage fishing gear. Accommodation starts at $60NZ per person per night for cabins, motels, home stays, B and B's, high country stations and 5 star lodges.